E-cigarette usage among teens has surged. A tobacco control expert explains how flavours may be contributing. An upsurge in e-cigarette use among middle and high school students occurred nationally between 2011 and 2018, with nearly 21 of every 100 high school students surveyed reporting e-cigarette use in the past 30 days, according to data from experts at the US Food and Drug Administration and the Centers for Disease Control and Prevention. This trend is not by chance. Tobacco companies have spent billions of dollars annually on tobacco product advertisement, according to a Federal Trade Commission report, and have used appealing packaging, culturally tailored brand names and advertisements that appear to target specific minorities and youth. The colourful packaging and other strategies employed by the industry contribute to lower harm perceptions of these products and higher susceptibility to use among young people, according to researchers at the Center for Global Tobacco Control, Harvard School of Public Health and recent research on cigarillo packaging I conducted with my research team. The FDA has announced efforts to impose restrictions on flavoured e-cigarettes and tobacco products. FDA recognises the high rates of e-cigarette use among young people as a public health concern, and sees the urgent need for stricter product access. 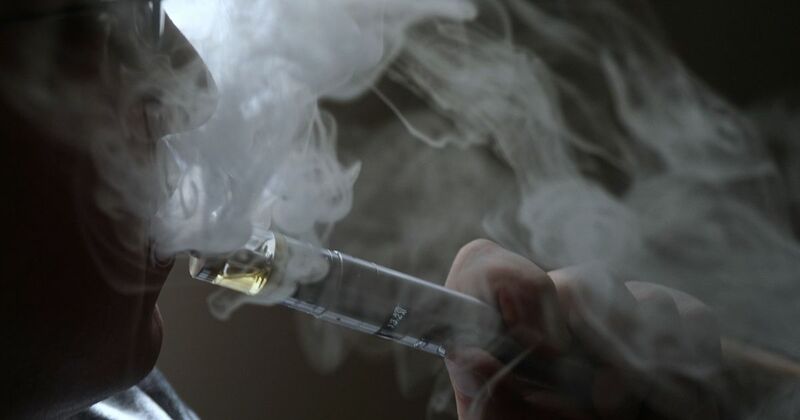 Part of the agency’s plans call for restricting young people under the age of 18 from accessing flavoured e-cigarettes via retail establishments and online websites. The FDA is seeking to have retailers move flavoured e-cigarette products – excluding mint- and menthol-flavoured products – to age-restricted areas in stores, and the FDA is proposing to heighten practices for age verification online. Agency officials have also called for removing e-cigarette products that are marketed to kids, among other measures. And with the announcement that tobacco giant Altria paid $13 billion for a 35% stake in Juul, the vaping company that uses flavours to market its e-cigarettes, the need to impose youth restrictions on flavoured tobacco products takes on even more urgency. Using a survey of young adults aged 18 to 26 recruited through an online crowd-sourcing tool, our group of researchers at the University of North Carolina School of Medicine found in a study published in PLOS ONE that cigarillo pack flavour descriptors, such as grape and sweet, and colours such as pink and purple resulted in more favorable product perceptions among young adults. These pack attributes had a greater impact on how people who had never used cigarillos perceived product flavour and taste, compared to current cigarillo users, and people who have previously used them. Further, we conducted a systematic review of all the scientific literature through April 2016 examining the impact of flavours on tobacco product perceptions and use behaviours. Important findings from this study, published in Tobacco Control, suggested that flavoured tobacco products have a strong appeal to youth and young adults because of the variety and availability of flavours; that flavours are a reason for use; and that flavours play a primary role in the use of e-cigarettes, little cigars and cigarillos, and hookah among younger people. Two studies within our systematic review found that packs containing flavour descriptions were more likely to be rated as having a lower health risk. Another study of smokeless tobacco packs in the United States found that young adults were more likely than older adults to report that packs without flavour descriptions would contain more dangerous chemicals. Research is clear that flavoured tobacco products have the potential to undermine progress gained to reduce youth tobacco use in the United States. Research and survey data have shown that tobacco habits in this age group are changing. Youth cigarette smoking rates have declined substantially in recent years, with the National Youth Tobacco Survey showing current use of cigarettes declining from 15.8% in 2011 to 7.6% in 2017 among high school students, according to data from experts at the CDC and FDA. Meanwhile, e-cigarettes were the most commonly used product in that population in both middle and high school students in the survey data. While traditional cigarette smoking has declined, patterns of dual (that is, use of two or more tobacco products in 30 days) and poly tobacco use (or the use of three or more tobacco products in 30 days) have emerged. In 2013, in a survey of North Carolina high school students, almost 30% reported use of any tobacco product, according to a study from our team published in 2015 in the International Journal of Environmental Research and Public Health. Within this sample, 19.1% used multiple tobacco products, compared with just 10.6% of the sample who were single product tobacco users. Youth predominately used cigarettes in combination with little cigars and cigarillos, or cigarettes with e-cigarettes. While there is substantial racial variation in multiple tobacco use patterns over time, in 2015, e-cigarettes were the most commonly used tobacco product among single product users across all racial groups, according to one of our studies published in Nicotine Tobacco Research. Using data from the 2015 North Carolina Youth Tobacco Survey, we found in a study published earlier this year in Preventing Chronic Disease that among survey respondents who were not susceptible to smoking cigarettes, 26% were at “high risk” for future e-cigarette use; 11.3% were classified as “susceptible” to using e-cigarettes; 10.4% had already tried an e-cigarette; and 4.5% were current e-cigarette users. Using school enrollment figures, we estimated that 55,725 high school students in our home state of North Carolina were at low-risk of smoking cigarettes, but at high risk for e-cigarette use – which meant that they were susceptible to using e-cigarettes, had experimented with e-cigarettes, or currently used e-cigarettes. On a national scale, these findings are a considerable public health problem. Specifically, high school students who believed that e-cigarettes and secondhand e-cigarette vapour were not harmful, or only somewhat harmful, were more likely to be susceptible to using e-cigarettes than students who thought e-cigarettes and secondhand e-cigarette vapour were harmful, our study found. Moreover, exposure to e-cigarette vapour in indoor or outdoor public places was associated with greater odds of being susceptible to using e-cigarettes. This could mean that restricting secondhand exposure to vapour of e-cigarettes in public places, such as in school buildings, stores, restaurants, school grounds and parks, and mass media efforts to educate youth about the harms of e-cigarette use could be just as necessary as restricting access to these products. We know that adolescents and teenagers are very vulnerable to the influence of tobacco marketing. The use of appealing packages and flavours has a significant impact on young people, causing them to perceive these tobacco products as less harmful and, in turn, making them more likely to experiment and continue using tobacco products. As research on the impact of flavoured tobacco products builds, I look forward to increased action to help prevent youth tobacco use. Leah Ranney, Director of Tobacco Prevention and Evaluation, University of North Carolina at Chapel Hill.